Given a data stream of numerical data elements generated from multiple sources, we consider the problem of maintaining the sum of the elements for each data source over a sliding window of the data stream. The difficulties of the problem come from two parts. One is the number of data sources and the other is the number of elements in the sliding window. For massive data sources, we need a significant number of counters to maintain the sum for each data source, while for a large number of data elements in the sliding window, we need a huge space to keep all of them. 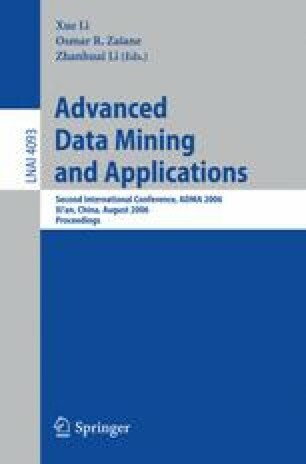 We propose two methods, which shares the counters efficiently and merge the data elements systematically so that we are able to estimate the sums using a concise data structure. Two parameters, ε and δ, are needed to construct the data structure. ε controls the bounds of the estimate and δ represents the confidence level that the estimate is within the bounds. The estimates of both methods are proven to be bounded within a factor of ε at 1-δ probability. 1.Institute of Information Systems and ApplicationsNational Tsing Hua UniversityHsinchuTaiwan, R.O.C. 2.Department of Computer ScienceNational Chengchi UniversityTaipeiTaiwan, R.O.C.